Industrial paper with a personal touch. 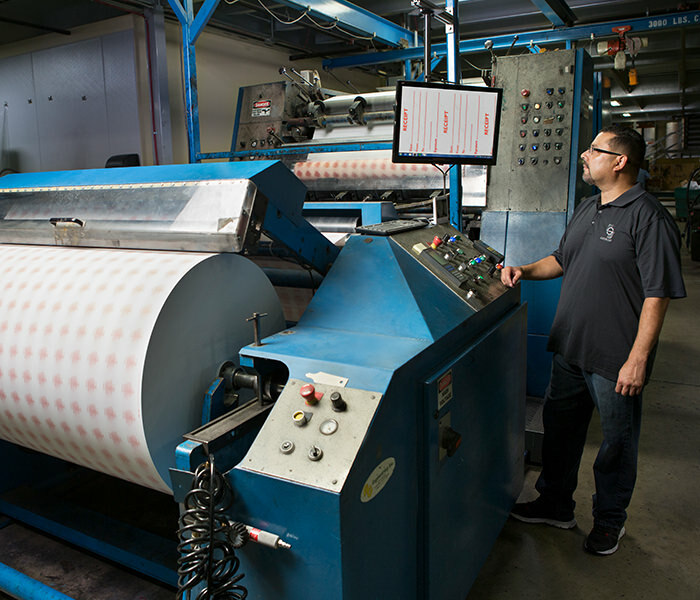 Branding, logo, safety info—whatever you need printed on your industrial rolls, help is here. We use 4 color flexographic with 18”, and 22” cylinders to make industrial paper that’s uniquely, perfectly yours. Choose from kraft, butcher, offset, bond, carbonless or thermal paper with a max width of 54”. All the printing capabilities you’ll ever need.